With Endsleigh, you can prepare for the unexpected. Proud to be an award-winning provider of trusty student insurance, Endsleigh has always been committed to providing an excellent service which comes at a good price. Tailored to your needs, Endsleigh offers its services to graduates and professionals too as well as to business and commercial customers. The only insurance provider to be recommended by NUS, whether it’s car or contents cover, Endsleigh can provide a solution. What makes Endsleigh a cut above the rest is how your needs are at the core of its business. Now Endsleigh even offers financial advice to help you hit the ground running when you’ve completed your studies - there’s no need to panic with Endsleigh by your side. Feel prepared and protected against all the odds, keep your ipad safe and your car covered with a transparent service like Endsleigh. Designed for and shaped by you, plus, with student articles and more valuable information to browse online, you’ll never feel in the dark when it comes to insurance. How do I use my Endsleigh promotion code? Choose a promotion code from vouchercloud and head to endsleigh.co.uk with the link provided in the pop-up window. Choose your insurance type and start your quote. Your savings will be included. Continue to securely purchase your Endsleigh insurance. Be sure to follow Endsleigh on Twitter to access a whole range of free tips on how to stay safe! Where can I find a past Endsleigh insurance quote? You can retrieve a past insurance quote online using your quote number, date of birth and postcode. How do I make an Endsleigh travel insurance claim? Travel Policies underwritten by Zurich should call 0333 234 1691, while those under AXA or Inter Partner Assistance should contact 0333 234 1692. If there is no underwriter, call 0333 234 1693. How can I renew my Endsleigh car insurance? Simply call 0333 234 1562 to speak with an advisor about renewing your car insurance policy. You will be emailed your insurance details and policy documents. These will also be accessible online via your Endsleigh account. A cancellation fee will be charged if you cancel a policy within 14-days of the start date, after the 14-day cooling off period. Visit the contact us page for a comprehensive list of Endsleigh contact numbers, a Live Chat is also available. Reliable insurance for students can be hard to come by, but Endsleigh has been around since the 1960’s, offering University students and graduates the cover they deserve. You’ll find great value across an array of indispensable, comprehensive insurance cover. Use your Endsleigh promotion code to save on car, home, content, gadget insurance and much more. 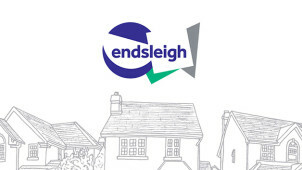 Providing a trusty service and nothing but reliable expertise, Endsleigh is there to let you make the most of all your experiences. Endsleigh is the 2017 winner of the Insurance Choice Awards. As the ‘Best Insurance Provider’ it’s no wonder there is a flurry of great reviews to read online. Whether you’re insuring your car, laptop, or looking for travel insurance, you’ll be able to see tweets and quotes from contented students, graduates and other customers across the UK. Reviews are provided by Reevoo and written by genuine customers, so there’s no better way to see if Endsleigh is for you! Whether it’s your first or your third car, you can protect your set of wheels with Endsleigh. Comprehensive motor insurance is available for students, young drivers and international students too, so get your car insurance quote using your Endsleigh discount code to save a penny or two! Recommended by NUS and well reviewed by many past customers, you can rest assured that you and your vehicle are in safe hands with Endsleigh.